Hailing anyone who reads this transmission. 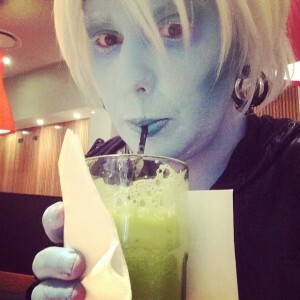 Earth summers are brutal when you’re an Andorian, even in Boston. This is old news now, but please read issue #5 of The Black Rope–the theme is Andorians! We will be at Shore Leave next month, and Dragon Con in September. I have given XO sh’Chavar the title of Chief Science Officer, as they are now working on a degree in Physics. Nothing else of note to report at this time. The Korelath is actively recruiting new members. Send me a message if you think you’ve got what it takes to join our ranks. Must tolerate Targs and air conditioning.